Pros: -Soft & comfortable touch to the hand. -Natural fibers are pliable, so they drape well - great for slipcovers! -Synthetic fibers have resistance to moisture and soiling - great for kids and pets! -Possible pilling (the formation of small, fuzzy balls on the surface of the fabric). *Pilling occurs either due to the natural tendency of fibers to migrate to the surface of a woven fabric or as a result of friction on the fabric surface, which loosens fibers and tangles them. If pilling occurs, a lint brush or pill shaver is best to remove them. It is not considered a defect in the fabric. Velvet - Velvet is a cut pile cloth. These were commonly used in formal settings (and still are!) but have evolved to by included in more casual or transitional designs. Velvets are appealing because they have a great hand and wear beautifully, but keep in mind that they will crush! 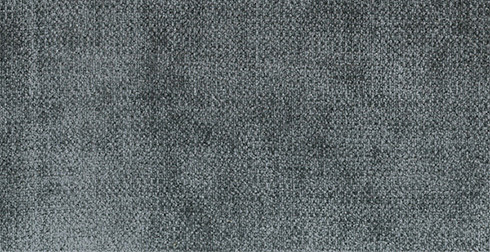 Crushing of velvet fabrics is not a defect, it is a normal function and will continue over time. They can be made of natural or synthetic fibers. Chenille - Chenille is a type of yarn that is created by twisting yarns of various lengths. Each yarn has a fuzzy pile protruding from all sides that resembles a caterpillar. It has a soft pile texture and is slightly uneven in appearance, which makes it very durable and hides things well! They can be made of natural or synthetic fibers. Microfibers - Microfibers are many extremely fine yarns that are cut and piled or woven to form many different textured cloths. The original resembled a suede but now it is woven into many different textures including velvet. They are made mostly of polyester (sometimes nylon), which provides an inherently stain resistant surface. They are easy to clean if stained! 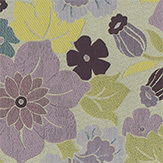 Prints - Prints are fabrics where the pattern has been printed on the top of a plain piece of cloth. If the backside of the fabric doesn't have any pattern or design on it, this is a print. Jacquard - Jacquards are fabrics woven on a Jacquard loom and usually include very complex designs. 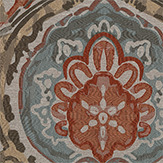 Damasks, brocades and tapestries are examples of popular jacquard fabrics. Twill - Twill is a basic cloth usually made of cotton. 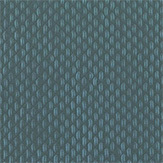 It has a subtle diagonal weave and can be dyed any color. It looks great on more casual or transitional designs. What's the Best Fabric for Sofas? What are the best fabrics for sofas? What do we suggest? As we showed you above, there are pros and cons to all fabrics! Depending upon your likes and needs, different fabrics are better for different people - so there's no one right or easy answer. Our customers most often choose microfibers for their durability and ease of cleaning or chenilles for their soft hand, durability, and variety of patterns and textures. Well-Travelled - Ikat is an ancient fabric dying method from Indonesia where individual yarns are tie-dyed and then woven into a pattern. Most ikats being used now are not true ikats but prints made to look like them in a more cost effective way. Mixing vibrant colors, patterns, and textures is a big part of this trend. Mid-century Modern - The popularity of Mad Men has brought mid-century modern designs front and center again in apparel and home furnishings. Popular fabrics from this era are grasscloths, boucle, geometric patterns, micropatterns and clean lines. French Laundry - Linen, burlap, and cottons mixed with rugged leathers, natural elements and French script patterns are still popular, too! Color! - Neutral basecloths with colorful pillows and accents are what is hot now! We're seeing this chosen by customers across different design styles and ages - easily change out the pillows for another look or the latest trend next year. To view our full fabric galleries in person and our hundreds of room settings for ideas and inspiration, visit our Furniture Campus with four showrooms - conveniently located in Dulles, Virginia! Need help with any area of your home? Visit our Design Help page and provide some basic information to get started today!